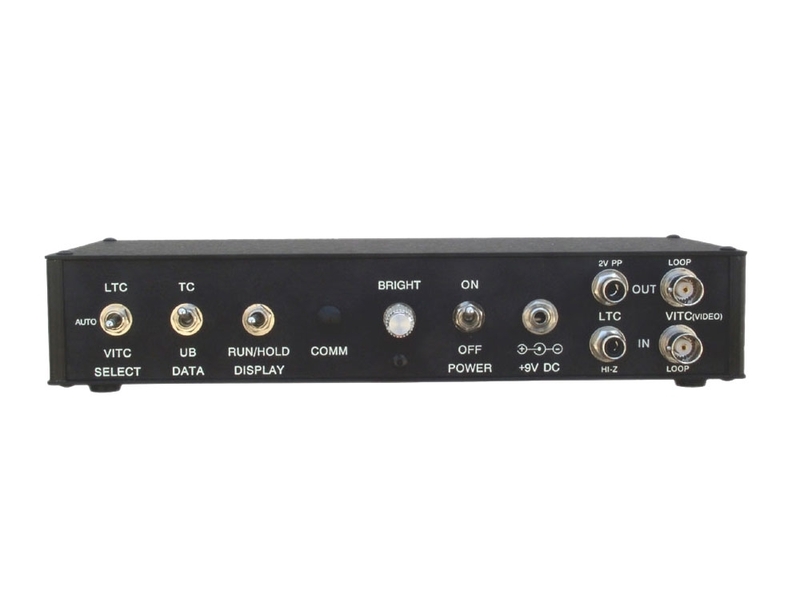 When working with VTR/VCR players the TCD-100 reads LTC from 1/30 to 100 times play speed, forward and reverse. Reads VITC from pause to over 30 times play speed forward and reverse. All switches are located at rear of unit for a clutter free display. "Auto" LTC-VITC select mode permits unattended operation by automatically switching to VITC when LTC is not available. 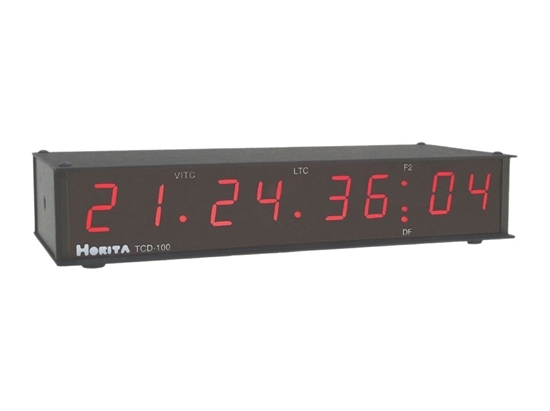 Displays hours, minutes, seconds, and frames, plus indicators for VITC or LTC, and drop/non-drop frame format. Switch select time code/user bit display, display run/hold. Brightness control adjusts display intensity for indoor use in a darkened room or outdoor use in bright light.